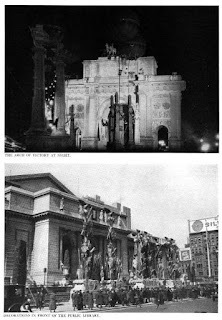 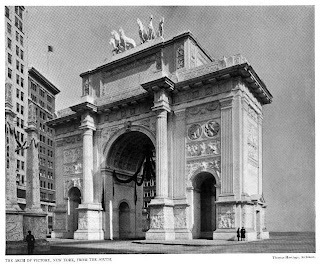 The 'Victory Arch', built by Mayor John F. Hylan and designed by Thomas Hastings c. 1919 at Fifth Avenue and 24th Street in New York City to commemorate the city's soldiers and war dead. Click HERE for a 1919 NYTimes article on the arch's conception. 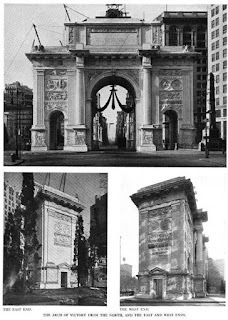 The arch was constructed of wood and plaster with the intention of eventually being replaced by a permanent structure which never happened. The 'Victory Arch' was eventually demolished. 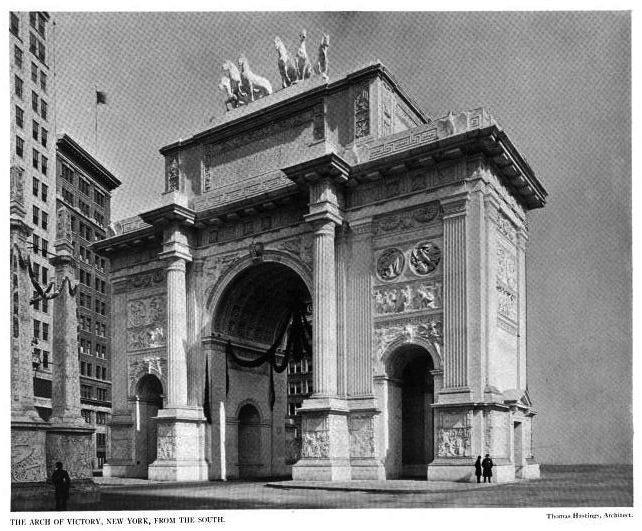 "Today we get tents, inflatables and quonset huts.."